Are you planning on sitting for the NBE exam this year, recertifying, or just want to learn more about advanced echocardiography? 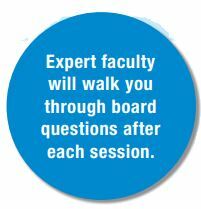 Please plan to join ASE and the expert faculty for ASE’s Review Course scheduled for May 4-7, 2019, at the Marriott Copley Place, in Boston. The online library of talks is included in the registration fee, so your continued learning is limitless. This course has been specifically designed as a preparatory course for the NBE ASCeXAM® and ReASCE® examinations. But, even if you aren’t taking the exam this year, you will not want to miss this comprehensive advanced echocardiography training that covers clinical topics like physics, strain, 3D, contrast, ischemic and valvular heart disease, CHD, and more. The Advance Program has all the details. Register before April 5th to save $100. On-site registration is available, however beginning May 4, 2019, all fees will increase an additional $100.